Want a retreat from life's stress? 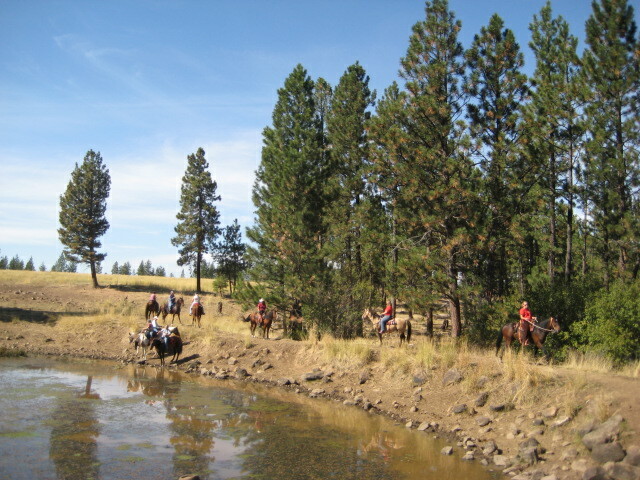 Ever thought about taking your horse with you while you "check out of life" for a bit? 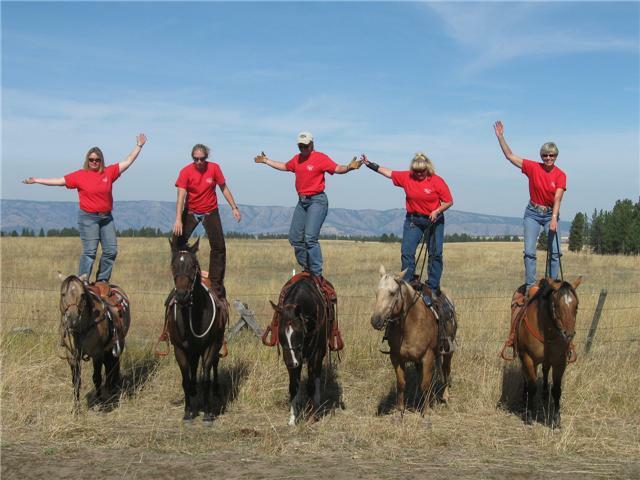 Thought about a way to bond with your friend, your spouse, your mother, your daughter, or your son while getting to bond with your horse? Our retreats are catered around your needs. We will build a retreat around the things you want to learn about. Do you want to learn more about riding on trails or how to tackle the trail course at your local show? Do you want to study English, jumping, and dressage? 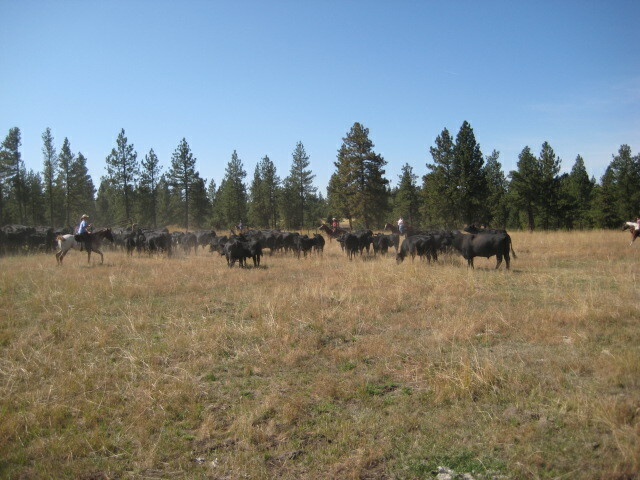 Want to be a cowboy from the olden days and learn how to move cattle or try your hand at mounted shooting? 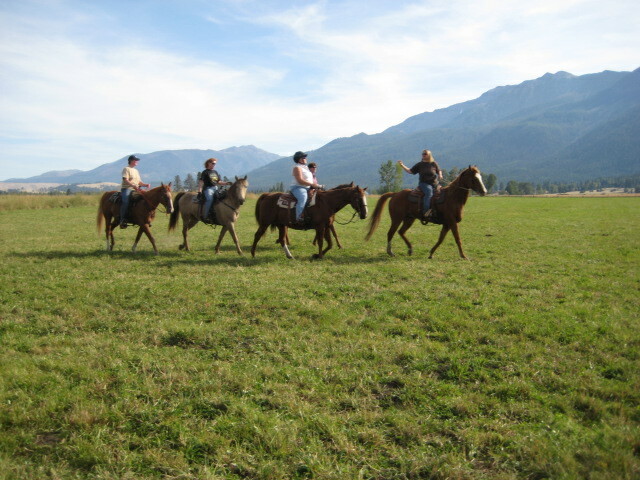 All of the retreats at Dun the Right Way Horses are designed with your end goals in mind. Each participant is given an enrollment packet where you will tell us how you want to spend your time so we can make sure that you squeeze in every ounce of learning. 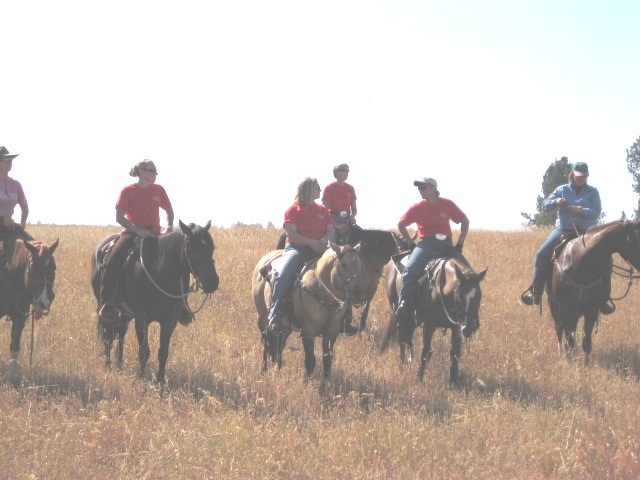 You will answer in-depth question on your skill levels, background, education, and desires for where you want to go with your horse. 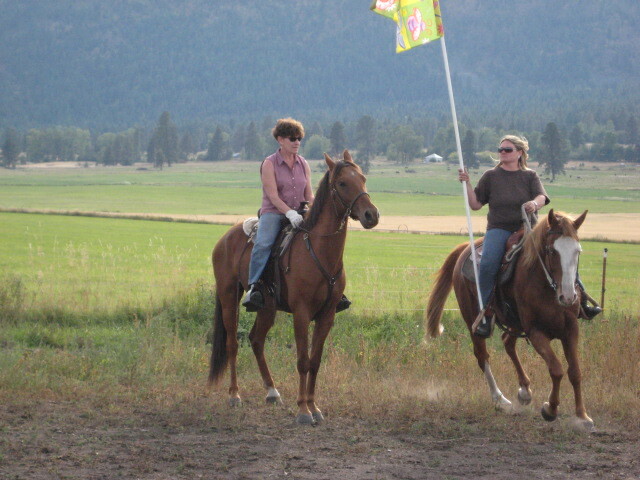 We will strive to give you a great learning opportunity with your horse while you are having fun! Only you can tell us what you want! So, be open, honest and give us all of the feedback you can so we can make the retreat feel like yours! We are ready to start planning our 2016 retreat that means we need YOU, the ones particpanting as without you we can't make it about you! Email us and let us know if you want to attend and what you dream of doing or need help with? 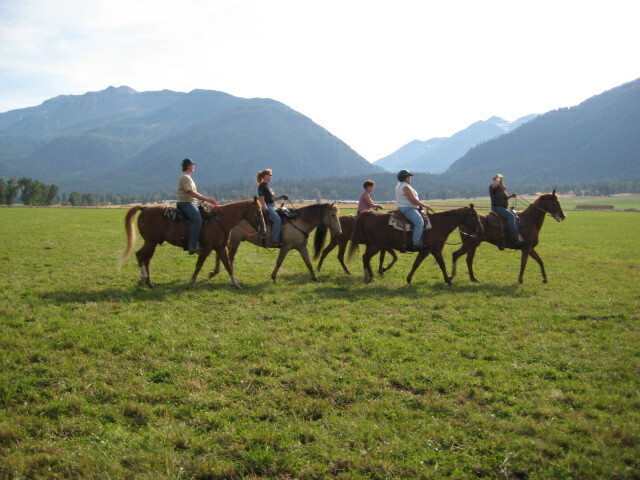 We offer Special weekend and week retreats for you and your friends- do you want to see about a weekend for you and your group or you and your kids or maybe spouse? 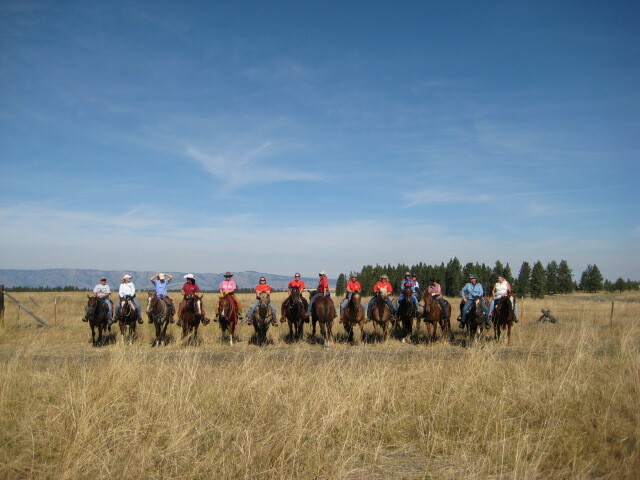 Contact us and lets make a special retreat for you rates start at $400 for the weekend with lessons, training sessions and trail rides. If you don't have your own horse, no worries! You will be matched with one of our trusty horses. Please call us for details. Women's Retreat Clinicians and help showing their stuff! From left to right: Me, Emily Sharrett, Cassi Soule, Sue Radford and Midge Kliewer.